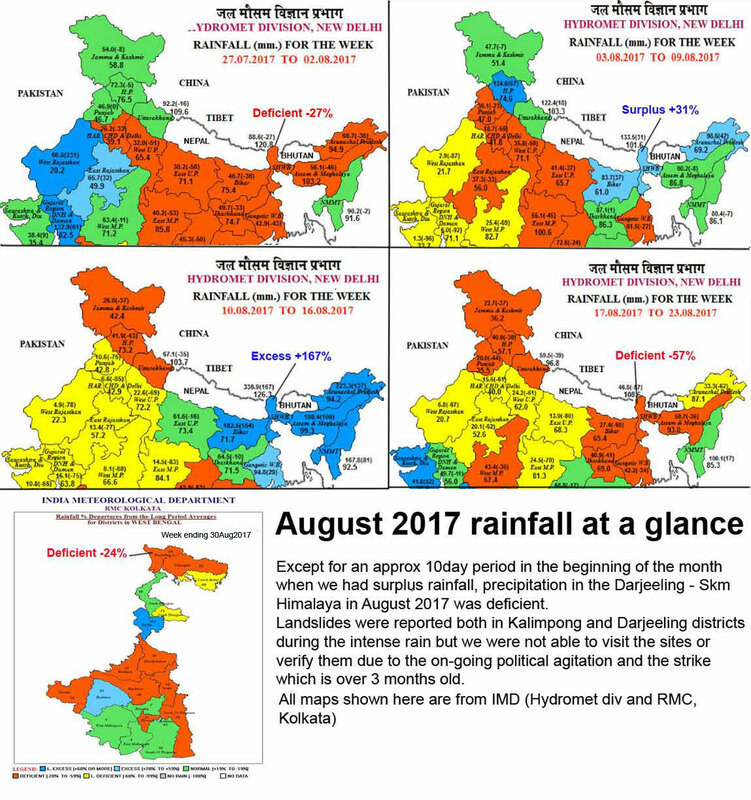 A strange pattern of tropical cyclones (TC) in the Western Pacific appear to be the reason for the drying up of monsoon rains in August across India. The India Meteorological Department (IMD) had predicted normal monsoon rains in August, typically the second most bountiful monsoon month after July. The delay in putting up this report as well as the incomplete data in the Sikkim report is regretted but was totally beyond our control, due the ban on internet in this region and the ongoing political agitation.